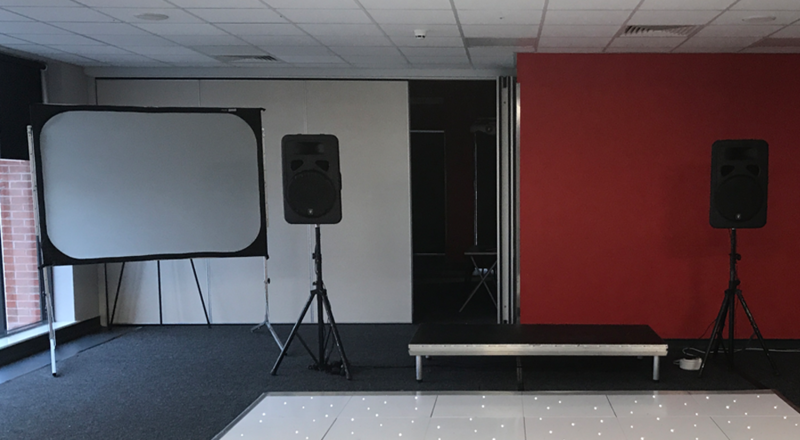 Our projection screen hire is often booked by a lot of companies across the Midlands who regularly hold staff meetings, and use our screens to present their slideshows. As long as being used for presentations, our full projection screen service is frequently booked for wedding receptions as brides and grooms look to incorporate digital photos and videos to their plans. Our screens can be used to display a slideshows and videos of a selection photos and messages to make your big day that little bit more special. 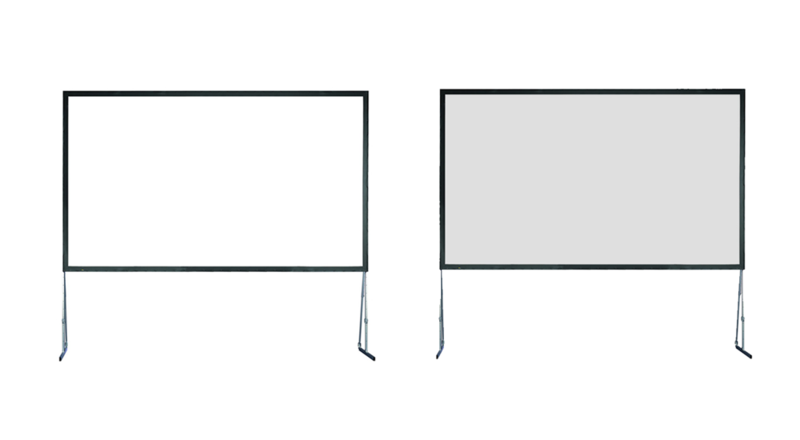 Our 6ft x 4ft fast fold projection screen hire offers both front and rear projection. This is why it is often booked alongside our Sanyo PLC-XL50 projector for a range of different events. From our main Leicester office we are often booked to provide our comprehensive selection of AV equipment and services across the midlands and surrounding areas. 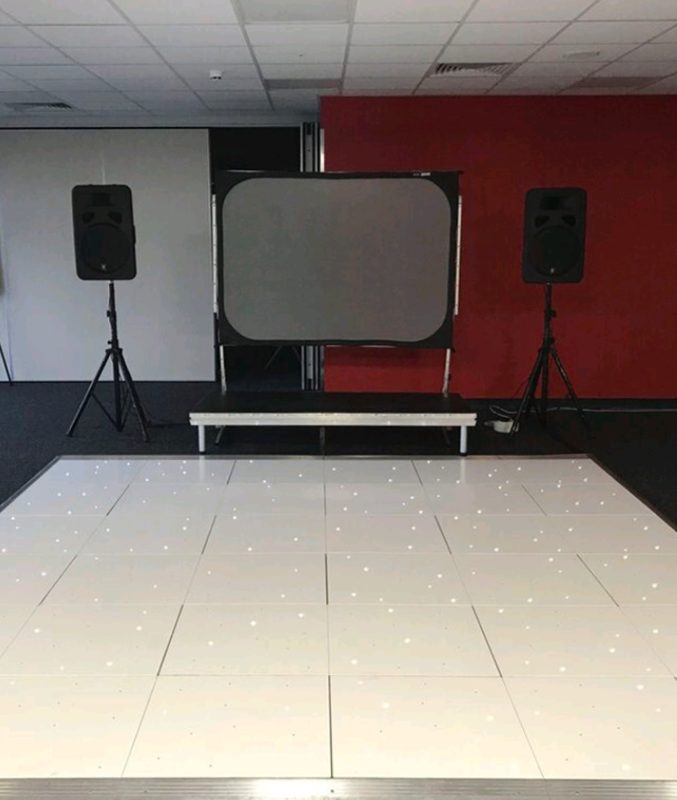 As with the majority of our products here at Solid State UK, our projection screen equipment is available on a dry hire service where’d you collect and return from our Leicester unit. Alternatively we offer a full delivery and installation service, where we deliver, set up and collect the items from your chosen venue. Are you interested in projection screen hire for your wedding or event? All our AV products are available to hire throughout the Midlands and UK including Leicester, Birmingham, Coventry, Derby and Nottingham.